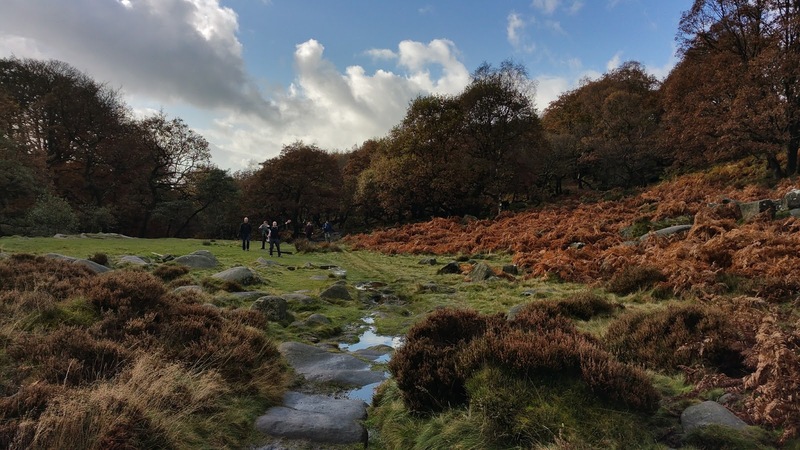 FM180 Blog: A walk in the peaks or a day in the office? A walk in the peaks or a day in the office? If you are running a business, or you are a senior manager running someone else’s, what is the most beneficial to your organisation? A day in the office, right? I had the privilege the other day to be invited to a gathering of like-minded people who still believe that making the world of work a better place is a worthy struggle. And added to that, the belief that making this abstract, ‘touchy-feely’ stuff a part of understanding our business will improve the bottom line. All too often we make decisions based on a business case full of figures on a spreadsheet or design something based on external constraints and then push what we all say is our most important asset into a situation or space that is doomed to fail. I must say at this point (and those who know me will no doubt back me up) that I am not prone to an overly gentle approach to life and business but, I listened to some fantastic accounts of examples where actually putting people at the centre of the solution (rather than just saying it or writing it on the front page of the corporate website) made a significant (and dare I say measurable) difference to performance, wellbeing and, you guessed it, profitability. My world is generally full of order and process and deadlines, no surprise there. I’m not saying we all have to go out and ‘hug a tree’, just that every now and again, take a step back from the straight lines and try to understand why we do what we do, why that is important and whether we are in fact doing what we think we are doing. Too flowery for all you hard-nosed business folks out there? I know a few people who can prove you wrong (and probably save you a few bob in the process). If you think you have a good/great/exceptional team and want to make it better, drop me a line and I will point you in the right direction. If on the other hand, your business is top notch and you can’t improve it, who am I to argue?